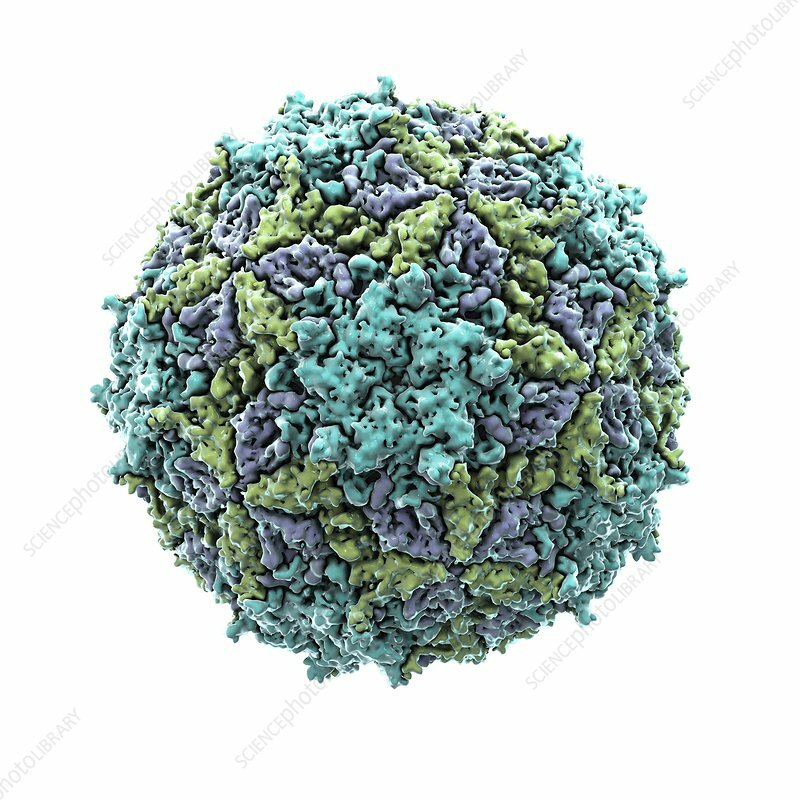 Mengovirus particle, computer artwork. Mengovirus particles (virions) are composed of an icosahedral protein coat (capsid) encasing RNA (ribonucliec acid), the genetic material of the virus. Mengovirus infection causes acute fever in humans.